Colour matters and to enjoy lots of autumn colour now, means you should PLANT SMART. 'Smart planting' means taking home top sellers, buying plants which are in season (a time when they will be looking their best! ), and using those which will give you better bang for your buck! So, get to your local GCA garden centre for inspiration, ideas and expert advice. Ribbon Bush (Hypoestes aristata) is a handy gap filler for sun or light, dry shade. This indigenous plant has a reputation of being one of the toughest choices for harsh growing conditions. Lilyturf (Liriope 'Evergreen Giant') is also called an ornamental grass, but actually belongs to the lily family. It grows everywhere (sun or deep shade) in thick clumps, with dark green leaves about 90 cm long. Cordyline (Cordyline banksii 'Electric Pink') has leaves with shocking pink edges giving it a very tropical appearance. With a mature size of about 1 x 1m, it is ideal for small gardens or containers. Everlasting (Syncarpha argentea 'Emma Everlasting’) seems to be indestructible, handling any abuse it might receive. If, however, well cared for, it will produce masses of papery, rose-pink buds fading to white with bright yellow centres, carried on wiry silver-white stems. Perfect for retaining walls. Plant alliums, anemones, babianas, chincherinchees, freesias, daffodils, hyacinths, ixias, Dutch Irises, lachenalias, snowdrops, muscari, blue bells, narcissus, ranunculi, sparaxis and tritonias. After you have finished your bulb-planting, set out the following seedlings to grow around them: ornamental kale, pansies, violas, Fairy Primula (Primula malacoides) and Iceland poppies. Remember to: Water newly planted bulbs deeply every four days - they should never dry out completely. Those in pots will need more regular watering. Plant Plumbago (Plumbago auriculata), a bushy shrub which flowers profusely from summer to autumn with sky-blue phlox-like flowers. Perfect choice for different sun patterns during the day as it likes full sun and light shade. Escallonia ‘Iveyi’ is a very versatile evergreen and glossy shrub up to 2,5m in height. It is hardy, fast-growing, and produces white flowers from summer to autumn. Amatungulu or big num-num (Carissa macrocarpa) is also indigenous and will be equally successful in coastal or subtropical gardens. The foliage, starry white flowers and edible fruit are very attractive and it will be only a fool that would attempt to breach your fully grown, thorny, boundary. Abelias, bottle brush (Callistemon), Blue potato bush (Solanum rantonnetii), Australian Tea Bush and Camellia sasanqua will all grow into lovely flowering hedges which do not need constant pruning - all are frost-hardy. Blue Potato Bush (Solanum rantonnetii) is another fabulous option, but note that it is a frost sensitive plant. If a high and dense, evergreen hedge is what you envisage, plant the cold and frost hardy Sweet Viburnum (Viburnum odoratissimum) or Pittosporum. If screening is not what you’re looking for, and you want just a hedge, try these options: Lavender (Lavandula), Box Hedge (Buxus Macrophylla ‘Faulkner'), Star Jasmine (Trachelospermum jasminoides), Duranta varieties, Freylinia varieties, or Portulaca varieties (for dry conditions). Sow cushions of 'snow' all over with honey-scented sweet alyssum (Lobularia maritima) which attracts ladybirds, lacewings, predatory wasps and hoverflies which all feed on aphids. 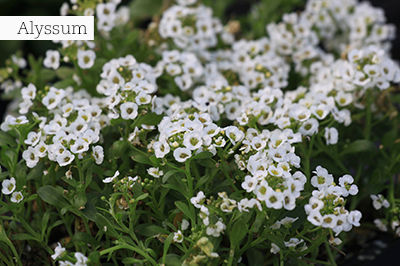 Alyssum loves the cooler months and flowers profusely, so buy bumper packs of seed and sow it everywhere or get some trays of seedlings at your GCA nursery. As roses are deciduous, their bottom leaves will soon turn brown and start dropping off. Planting cool-season annuals in front of them will screen the bare stems at the base of the bush. 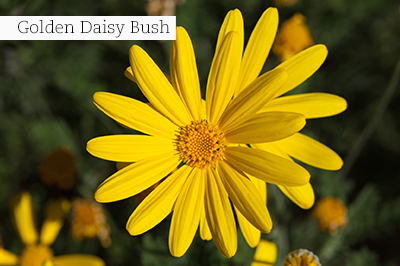 Choose sun lovers like alyssum, calendulas, dwarf snapdragons, lobelias, Namaqualand daisies, phlox and pansies. 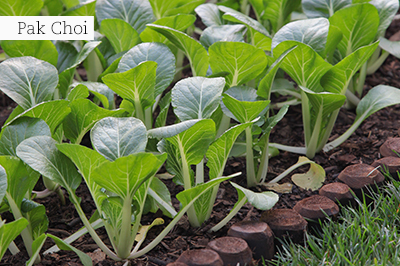 For a productive winter food garden even if it is only in a box, sow or plant seedlings of Asian greens like mizuna, red giant mustard, pak choi, green-in-snow or tatsoi. 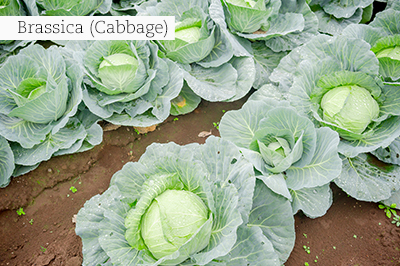 They produce an abundance of tangy and flavourful leaves to pick as needed, and are a good source of minerals and vitamins. These plants are extremely pretty with frilly, lobed, or serrated leaves in all shades of green as well as bronze. They combine beautifully with edible flowers such as calendula, viola, and nasturtiums. To grow broccoli on a small scale in pots, choose a size of at least 30 – 40cm in diameter and plant only one plant per pot. Water daily and feed with a nitrogen-rich liquid feed every second week. New in-store: Go for the latest brassica seed varieties (or cruciferous vegetables) in rainbow colours and with petite sizes, like purple broccoli, purple cauliflower, green cauliflower, baby cabbage, baby cauliflower and mixed kale. Chives and garlic chives – grow in sun or partial shade. They also grow well in window boxes indoors if there is enough light. Coriander – grow in light shade or indoors on a window sill. Tibouchina 'Jewel' is a spectacular and fairly fast-growing dwarf variety of tibouchina, with purple, open flowers produced in mass. Leptospermum 'Cherry Brandy') is a dwarf tea bush with cherry-red flowers and wine-red needle-like leaves. Cold and frost-hardy. 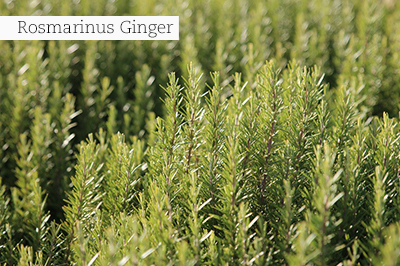 Rosmarinus 'ginger' is a compact rosemary with aromatic, small dark green leaves and light blue flowers from early autumn to summer. Ideal choice for a low hedge or in pots. Plant the full range of osteospermums and diascias as they become available for instant colour – they flower now and love the cooler weather. Young fruit trees, especially deciduous types like peaches, plums, nectarines and apricots can be planted this month. Protect newly planted vegetables with bird netting and also start getting together the materials needed like frost cover, to protect edibles from early frost. Sow nasturtium seeds between brassicas (cabbage family) to attract aphids away from them. If there is an infestation on young plants already, treat with a contact insecticide. Grow your own garlic. You can buy garlic bulb sets from nurseries. Pick a sunny spot with well-draining soil and plant the cloves about 15cm apart in drills of about 7cm deep. The clove’s noses should just be covered with a thin layer of soil. Water regularly. Too little space or too much shade? Interplant winter veggies in the flower garden. Try red-leaf lettuce, Swiss chard 'Bright Lights', beetroot, oriental greens and kale. More pretty leaves to plant are flowering kale - one of the showiest foliage annuals around! Toss some waterblommetjie bulbs into your pond – they will grow well in water between 10 – 60cm deep and will happily settle into the mud sediment at the bottom of the pond, giving you a tasty flower harvest in late winter and spring. Prevent bud drop on gardenias by keeping them well-watered now. Although these plants flower mostly in summer, they still form new buds until late autumn which matures on the plant and will open as soon as temperatures rise again. If they experience a lack of water in this phase, the buds fail to open and fall off. Canary Island hibiscus is a large shrub reaching 2.5m in height and 2.5m in width; evergreen, garden hybrid with classic pink flowers; the blooms are large (125mm in diameter) and displayed during late summer to autumn. This plant makes an effective barrier specimen and grows best in sub-tropical and tropical climates especially at the coast. 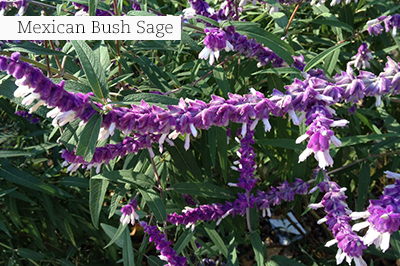 Mexican bush sage (Salvia leucantha) is a downy and spreading shrub which produces white or purple flowers clasped by soft purple calyces from late summer to early winter when it should be cut back drastically. It is very tough and drought resistant and basically looks after itself in well-draining sandy soil. Butterflies love them. White correa (Correa alba) is a small shrub up to 1,5 m high and wide. It has leathery oval leaves with hairy undersides with lots of delicate white flowers in autumn. Tolerant to salt spray, wind, drought and moderate frost. Woolly grevillea (Grevillea lanigera ‘Mount Tamboritha') is an utterly charming, low-growing shrub that copes perfectly in a wide range of climatic conditions, from stormy coastal winds, to hot and dry summers to extreme winter cold. It is a neat evergreen that only grows to a height of 30 to 50 cm, but can spread to a width of about 1,5 to 2 m. It is lovely in a rock and gravel garden. The unusual-looking, pinkish-red and cream flowers appear from early winter to summer. Sow in situ: Wild snapdragons (Nemesias), Namaqualand daisies, bokbaai vygies, and Virginian stocks. 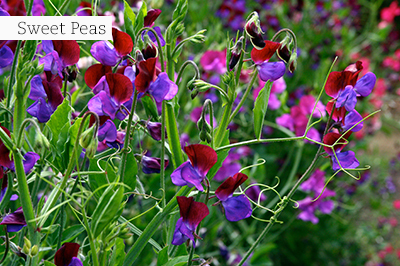 Pinch out the growing tips of sweet peas when the seedlings are about 10 to 15cm tall to encourage bushy plants. Feed with 3:1:5 SR.
Feed young flower seedlings regularly with a water soluble fertiliser and to keep them well-watered. Keep on weeding, but leave some seed heads for the birds. When belladonna lilies have stopped flowering, they can be lifted (only if overcrowded), and replanted with the neck of each bulb showing above soil level. Hold on to fallen leaves. They can be used as a mulch for woodland plants such as azaleas and rhododendrons. To ensure a great harvest of lemons, you have to fertilise at least four times per year – in July, September, January and April. Use a balanced granular fertiliser such as 3:1:5 or 8:1:5.